For the surname, see Catania (surname). Catania (UK: /kəˈteɪniə, -ˈtɑːn-/, US: /-njə, kəˈtæniə/, Sicilian and Italian: [kaˈtaːnja] ( listen)) is the second largest city of Sicily after Palermo located on the east coast facing the Ionian Sea. It is the capital of the Metropolitan City of Catania, one of the ten biggest cities in Italy, and the seventh largest metropolitan area in Italy. The population of the city proper is 320,000 while the population of the city's metropolitan area, Metropolitan City of Catania, stood at 1,116,168 inhabitants. Catania was destroyed by catastrophic earthquakes in 1169 and 1693, and by several volcanic eruptions from the neighbouring Mount Etna, the most violent of which was in 1669. Catania was founded in the 8th century BC by Chalcidians. In 1434, the first university in Sicily was founded in the city. In the 14th century and into the Renaissance period, Catania was one of Italy's most important cultural, artistic and political centres. The city is noted for its history, culture, architecture and gastronomy. Its old town, besides being one of the biggest examples of baroque architecture in Italy, is a World Heritage Site, protected by UNESCO. Catania has been a native or adoptive homeland of some of Italy's most famous artists and writers, including composers Vincenzo Bellini and Giovanni Pacini, and writers Giovanni Verga, Luigi Capuana, Federico De Roberto and Nino Martoglio. The city is the main industrial, logistical and commercial center of Sicily. 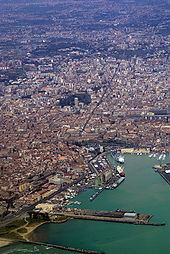 It is the home of the Catania-Fontanarossa Airport, the largest in Southern Italy. The ancient indigenous population of the Sicels named their villages after geographical attributes of their location. The Sicilian word, katane, means "grater, flaying knife, skinning place" or a "crude tool apt to pare". Other translations of the name are "harsh lands", "uneven ground", "sharp stones", or "rugged or rough soil". The latter etymologies are easily justifiable since, for many centuries following an eruption, the city has always been rebuilt within its black-lava landscape. Around 729 BC, the ancient village of Katane became the Chalcidian colony of Katánē where the native population was rapidly Hellenized. The Naxian founders, coming from the adjacent coast, later used the name for their new settlement along the River Amenano. Around 263 BC, the city was variously known as Catĭna and Catăna (Greek: Κατάνη, Ancient Greek: [katánεː]; Latin: Catana, pronounced [ˈkatana], and Catina.). The former has been primarily used for its supposed assonance with catina, the Latin feminization of the name catinus. Catinus has two meanings: "a gulf, a basin or a bay" and "a bowl, a vessel or a trough", thanks to the city’s distinctive topography. Around 900, when Catania was part of the emirate of Sicily, it was known in Arabic as Balad al-fīl (بلد الفيل) and Madinat al-fīl (مدينة الفيل). The former means "The Village (or the Country) of the Elephant", while the latter means "The City of the Elephant". 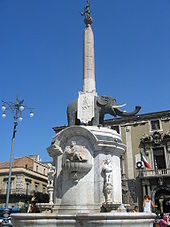 The Elephant is the lava sculpture over the fountain in Piazza Duomo. Most likely a prehistoric sculpture that was reforged during the Byzantine Era, it appears to be a talisman that was reputedly powerful enough to protect the city from enemies and to keep away misfortune, plagues, or natural calamities. Another Arab toponym was Qaṭāniyyah (قطانية), allegedly from the Arabic word for the "leguminous plants". Pulses like lentils, beans, peas, broad beans, and lupins were chiefly cultivated in the plains around the city well before the arrival of Aghlabids. Afterwards, many Arabic agronomists developed these crops and the citrus orchards in the area around the city. The toponym Wadi Musa (وادي موسى), or "Valley of Moses" (from the Arabic name of the Simeto River), was rarely used. Catania is located on the east coast of the island of Sicily, at the foot of Mount Etna. Two subterranean rivers run under the city; the Amenano, which surfaces at one single point south of Piazza Duomo, and the Longane (or Lognina). Winters are mild with chilly nights (not rare peaks around 20 °C or 68 °F) . Most of precipitation is concentrated from October to March, leaving late spring and summer virtually dry (some years there is no rain for 3–4 months). The city receives around 500 millimetres (20 inches) of rain per year, although the amount can vary greatly from year to year (wettest over 1,200 millimetres or 47 inches, driest under 250 millimetres or 9.8 inches,). During winter nights lows can occasionally go under 0 °C (32 °F). Highs under 10 °C (50 °F) can happen during winter. Snow, due to the presence of Etna that protects the city from the northern winds, is an uncommon occurrence, but occasional snow flurries have been seen over the recent years especially in the hilly districts, more substantial in the northern hinterland. More recently, light snowfalls occurred on 9 February 2015, 6 January 2017 and 5 January 2019, but the last heavy snowfall dates back to 17 December 1988. As of January 2015, there are 315.601 people residing in Catania, of whom 47.2% are male and 52.8% are female. Minors (people under age 18) totalled 20.50 percent of the population compared to pensioners who number 18.87 percent. This compares with the Italian average of 18.06 percent (minors) and 19.94 percent (pensioners). The current birth rate of Catania is 10.07 births per 1,000 inhabitants compared to the Italian average of 9.45 births. As of 2006[update], 98.03% of the population was Italian. The largest immigrant groups come from Sub-Saharan Africa: 0.69%, South Asia: 0.46%, and from other European countries (particularly from Ukraine and Poland): 0.33%. Catania was founded as a Greek colony named Κατάνη (Katánē—see also the list of traditional-Greek place names), of Chalcidic origin, under the guidance of a leader named Euarchos (Euarchus). The exact date of its foundation is not recorded, but it appears from Thucydides that it came into existence slightly later than Leontini (modern Lentini), which he claims was five years after Syracuse, or 730 BC. The only event of its early history that is known about is the legislation of Charondas, the exact date of which is uncertain. His legislation was extended to the other Chalcidic cities, not only of Sicily, but of Magna Graecia also, as well as to his own country. It is evident that Catania had close relations with these other cities during this time. 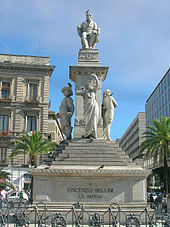 Catania appears to have retained its independence up to the reign of the despot Hieron of Syracuse, whereupon in 476 BC he expelled all the original inhabitants of Catania and replaced them with those he ruled over at Leontini - said to have numbered no less than 10,000, consisting partly of Syracusans and Peloponnesians. At the same time he changed the city's name to Αἴτνη (Aítnē, Aetna or Ætna, after the nearby Mount Etna, and proclaimed himself the Oekist or founder of the new city. For this he was celebrated by Pindar, and after his death he received heroic honors from the citizens of his new colony. A few years after the death of Hieron and the expulsion of Thrasybulus, the Syracusans combined with Ducetius, king of the Sicels, to expel the newly settled inhabitants of Catania, who went on to settle in the fortress of Inessa (to which they gave the name Aetna). The old Chalcidic citizens were reinstated to the city in 461 BC. The period that followed appears to have been one of great prosperity for Catania, as well as for the Sicilian cities in general. However, no details from this period of its history are known, until the great Athenian expedition to Sicily (part of the larger Peloponnesian War), when the Athenians invaded the city. The Catanaeans at first refused to allow the Athenians into their city, but after the latter had forced an entrance, they found themselves compelled to honour the alliance of their invaders. Catania became the headquarters of the Athenian armament throughout the first year of the expedition, and the base of their subsequent operations against Syracuse. No information exists on the fate of Catania after the Athenian expedition. It is next mentioned in 403 BC when it fell into the power of Dionysius I of Syracuse, who plundered the city and sold its citizens as slaves, after which he established a body of Campanian mercenaries. These, however, quit in 396 BC and retired to Aetna, on the approach of the great Carthaginian armament under Himilco and Mago. The great naval battle in which the latter defeated Leptines, who was quickly fought off from Catania, and the city fell into the hands of the Carthaginians. Calippus, the assassin of Dion of Syracuse, held possession of Catania for a time (Plut. Dion. 58); and when Timoleon landed in Sicily Catania was subject to a despot named Mamercus, who at first joined the Corinthian leader, but afterwards abandoned this allegiance for that of the Carthaginians. As a consequence he was attacked and expelled by Timoleon. Catania was now restored to liberty, and appears to have continued to retain its independence; during the wars of Agathocles with the Carthaginians, it sided at one time with the former, at others with the latter; and when Pyrrhus landed in Sicily, Catania was the first to open its gates to him, and received him with the great splendour. Xenophanes, the philosopher of Elea, also spent the latter years of his life in the city  so that it was evidently, at an early period, a place of cultivation and refinement. The first introduction of dancing to accompany the flute was also ascribed to Andron, a citizen of Catania. In ancient times Catania was associated with the legend of Amphinomus and Anapias, who, on occasion of a great eruption of Etna, abandoned all their property and carried off their aged parents on their shoulders, the stream of lava itself was said to have parted, and flowed aside so as not to harm them. Statues were erected to their honor, and the place of their burial was known as the Campus Piorum; the Catanaeans even introduced the figures of the youths on their coins, and the legend became a favorite subject of allusion and declamation among the Latin poets, of whom the younger Lucilius and Claudian have dwelt upon it at considerable length. The port of Catania also, which was in great part filled up by the eruption of 1669, appears to have been in ancient times much frequented, and was the chief place of export for the corn of the rich neighboring plains. The little river Amenanus, or Amenas, which flowed through the city, was a very small stream and could never have been navigable. Catania was under the Islamic emirate of Sicily until 1072, when it fell to the Normans of Roger I of Sicily. Subsequently, the city was ruled by a bishop-count. In 1194–1197 the city was sacked by German soldiers during after the conquest of the island by emperor Henry VI. In 1232 it rebelled to the former's son, Frederick II, who later built a massive castle, Castello Ursino and also made Catania a royal city, ending the dominance of the bishops. Catania was one of the main centers of the Sicilian Vespers revolt (1282) against the House of Anjou, and was the seat of the incoronation of the new Aragonese king of Sicily, Peter I. In the 14th century it gained importance as it was chosen by the Aragonese as a Parliament and Royal seat. Here, in 1347, it was signed the treaty of peace that ended the long War of the Vesper between Aragonese and Angevines. Catania lost its capital role when, in the early 15th century, Sicily was turned into a member of the Crown of Aragon, and kept its autonomy and original privileges specially during the period from 1282 to 1410. After heavy fighting across eastern Sicily, Catania was eventually captured by the British 8th Army on 5 August 1943. After the conflict, and the constitution of the Italian Republic (1946), Catania attempted to catch up with the economic and social development of Italy's richer northern regions. The problems faced in Catania were emblematic of those faced by other towns in the Mezzogiorno, namely a heavy gap in industrial development and infrastructures, and the threat of the mafia. This notwithstanding, during the 1960s (and partly during the 1990s) Catania enjoyed development and a period of economic, social and cultural success. In the first decade of the 21st century, Catania's economic and social development somewhat faltered and the city is again facing economic and social stagnation. This was aggravated by the economical crisis left by the Forza Italia administration of mayor Scapagnini in 2008. The Catanian Museum of Mineralogy, Paleontology and Vulcanology holds the integral unburied skeleton of an Elephas falconeri in an excellent state of conservation. The first inhabitants of Etna molded such lavic artifact to idolize the mythical proboscidian. Church of the Saint Jail or Saint Agatha at the Jail (Santo Carcere or Sant'Agata al Carcere) (1760). This temple includes the ancient jail where Saint Agatha was allegedly imprisoned during her martyrdom. Sanctuary of Our Lady of Ognina (1308). Ognina is the maritime quarter and the main fishing pole of Catania. Many bareboats and umpteen smacks gather and crowd here all year round. In its close vicinities there is a cylindric tower, known as Saint Mary's Tower (Torre Santa Maria), which was restructured in the 16th century to prevent the frequent plunders of the Saracen pirates. The church is the result of the gradual modification of the Greek Temple Athena Longatis or Parthenos Longatis that existed on the steep reef. This cult was imported from a Boeotian region of Greece called Longas from where the first Hellenic settlers of this borough probably came. After the earthquake of 1693 it was rebuilt on the same place but with a different orientation. Ursino Castle, built by emperor Frederick II in the 13th century. Palace of the Elephants, designed by Giovan Battista Vaccarini. It houses the Town Hall. Catania is the first economic and industrial hub of Sicily. The city is famous for its mainly petrochemical industry, and the extraction of sulphur. In the year 2000, according to Census, Catania was the 14th richest city in Italy, with a GDP of US$6.6 billion (€6.304 billion), which was 0.54% of the Italian GDP, a GDP per capita of US$21,000 (€20,100) and an average GDP per employee of US$69,000 (€66,100). Catania hosts the Scuola Superiore, an academic institution linked to the University of Catania, aimed at the excellence in education. The Scuola Superiore di Catania also offers undergraduate and postgraduate programs. Giovanni Verga was born in Catania in 1840. He became the greatest writer of Verismo, an Italian literary movement akin to Naturalism. His novels portray life among the lower levels of Sicilian society, such as fishermen and stonemasons, and were written in a mixture of both literary language and local dialect. Francesco Longo Mancini was a painter known for paintings of nudes who was born in Catania in 1880. The city is home to the Catania Jazz Festival, which typically runs for several winter months with concerts in different locations. In the late 1980s and during the 1990s Catania had a sparkling and unique popular music scene. Indie pop and indie rock bands, local radio station and dynamic independent music record labels sprung. As a result, in those years the city experienced a vital and effervescent cultural period. Artists like Carmen Consoli and Mario Venuti and internationally known indie rock bands like Uzeda came out of this cultural milieu. Catania has a unique cuisine, with strong Sicilian traits. Dishes such as Pasta alla Norma are from the city. Pasta alla Norma is a pasta dish made out of macaroni-like penne, tomato sauce, largely sliced aubergines, and often topped with salty ricotta, or ricotta salata in Italian. Granita, a popular flavoured sherbet, is believed to hail from the city too. Blood oranges, such as the famous tarocco, are common to the city and others. Another famous plate is horse's meat, usually cooked on coals and sold on the streets and at restaurants. In Castello Ursino's surroundings are located the most famous horse's meat restaurants with lots of different price ranges. However, the most famous and traditional food are the Arancini. It is a rice croquette stuffed with any kind of ingredients such as meat sauce, mushrooms, pistachio, smoked salmon ... It has an orange colour because of the saffron used. The arancini are on sale in any Tavola Calda shop and they can be eaten at any time of the day. The Circumetnea is a narrow-gauge railway that runs for 110 km (68 mi) from Catania round the base of Mount Etna. It attains the height of 976 m (3,202.10 ft) above sea level before descending to rejoin the coast at Giarre-Riposto to the North. In the late 1990s the first line of an underground railway (Metropolitana di Catania) was built. The underground service started in 1999 and it is currently active on a route of 8.8 km (5.5 mi), from the station Nesima (West of town), passing through the stations of San Nullo, Cibali (still under construction), Milo, Borgo, Giuffrida, Italia, Galatea, Giovanni XXIII, to Stesicoro. These two stations, bringing Catania Underground in the city centre, have opened on 20 December 2016 First line is planned to extend from the satellite city of Paternò to Fontanarossa Airport. The average amount of time people spend commuting with public transit in Catania, for example to and from work, on a weekday is 56 min. 13% of public transit riders, ride for more than 2 hours every day. The average amount of time people wait at a stop or station for public transit is 23 min, while 46% of riders wait for over 20 minutes on average every day. The average distance people usually ride in a single trip with public transit is 4.7 km, while 3% travel for over 12 km in a single direction. The site of what was to become the major Australian city of Adelaide was surveyed and laid out by Colonel William Light, the first Surveyor-General of South Australia. In 1823, Light had fondly written of Catania: "The two principal streets cross each other at right angles in the square in the direction of north and south and east and west. They are wide and spacious and about a mile [1.6 km] long". This became the basis for his plan of Adelaide. ^ "Catania" (US) and "Catania". Oxford Dictionaries. Oxford University Press. Retrieved January 8, 2019. ^ "Catania". Merriam-Webster Dictionary. Retrieved January 8, 2019. ^ Ferdinand II of Aragon became King of Naples as Ferdinand III, reuniting Naples with Sicily permanently and for the first time since 1458. 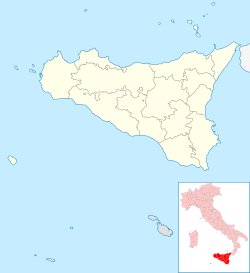 ^ "The Metropolitan Area of Catania defined by ANCI Sicilia (National Association of Comuni Italiani)". Anci.sicilia.it. Archived from the original on 2010-12-08. Retrieved 2011-04-05. ^ "Le dieci Municipalità catanesi:" [The ten Municipalities of Catania:]. Comune di Catania (in Italian). Retrieved 2018-02-17. ^ "Santa Maria di Lognina". Etanland on line (in Italian). Archived from the original on 2009-05-28. Retrieved 2008-08-20. ^ "Catania, Torre di Ognina" [Saint Mary's Tower of Ognina]. Mondi medievali (in Italian). Archeoambiente e Giuseppe Tropea. ^ "home". Centroetnapolis.it. Archived from the original on 2010-06-17. Retrieved 2010-06-01. ^ "Oggi la chiamano Etna Valley: i progetti, le aziende, il lavoro nel territorio di Catania". Etnavalley.com. 2010-04-29. Archived from the original on 2010-05-27. Retrieved 2010-06-01. ^ Giuseppe Giarrizzo. "La nostra storia" [Our History] (in Italian). Archived from the original on 2012-08-30. ^ "La storia dell'Ateneo scritta da Giarrizzo" [The History of the University by Giarrizzo] (in Italian). Archived from the original on 2012-07-20. ^ "Scuola Superiore di Catania" (in Italian). Archived from the original on 2009-08-03. ^ "Musical Institute Vincenzo Bellini – Official site". Istitutobellini.it. Archived from the original on 2011-07-18. Retrieved 2011-04-05. ^ a b Drabble, Margaret (1985). "The Oxford Companion to English Literature: Verga, Giovanni" (5th ed.). London: Guild Publishing: 1026. ^ Drabble, Margaret (1985). "The Oxford Companion to English Literature: Verismo" (5th ed.). London: Guild Publishing: 1026. ^ "Catania Public Transportation Statistics". Global Public Transit Index by Moovit. Retrieved June 19, 2017. Material was copied from this source, which is available under a Creative Commons Attribution 4.0 International License. ^ lasicilia.it. "Catania-Ottawa, gemellaggio hi tech. Missione in Canada per stringere accordi di collaborazione" (in Italian). Wikimedia Commons has media related to Catania. Wikivoyage has a travel guide for Catania. Wikisource has the text of the 1911 Encyclopædia Britannica article Catania. This page was last edited on 11 April 2019, at 02:59 (UTC).